DO ANY TRAINS PASS THIS WAY ? ... well, not any more. Here's the train crew sitting upon it. Merrill ~ Ann ~ Barbara ~ Ken ~ Jean ~ Ann ~ Liz ~ and Me! Eyup ... is that paint dry !?! That's enough malarking around for now! 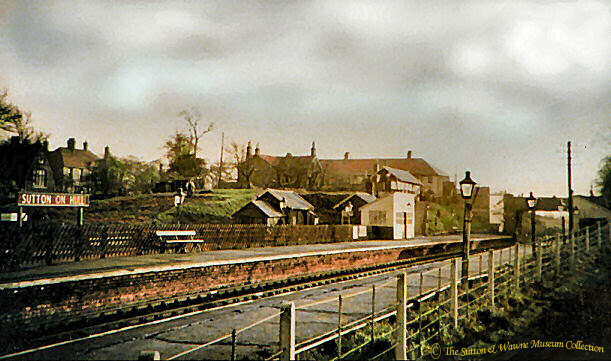 of what the station used to look like. that pallisaded fence, and on that far platform, a couple of seats are visible. There is a third seat in the picture too .... Can you spot it? down from the back of the Station Master's house right down to the siding itself. 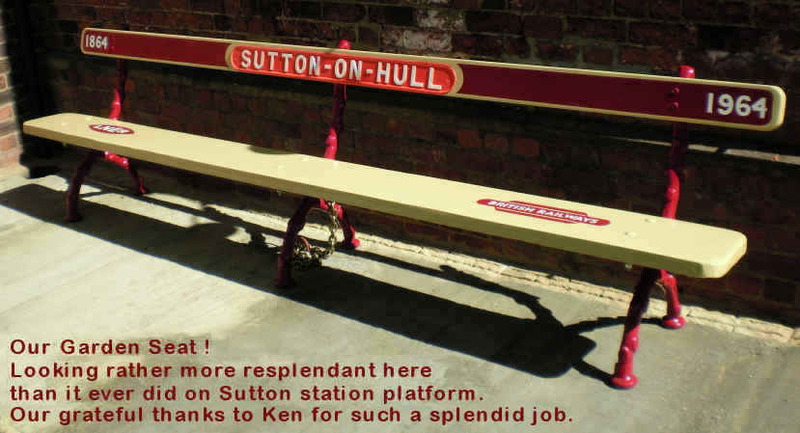 on the demise of the line in 1964.
kindly donated it to the museum. and all her friends here at the museum remember her with affection. 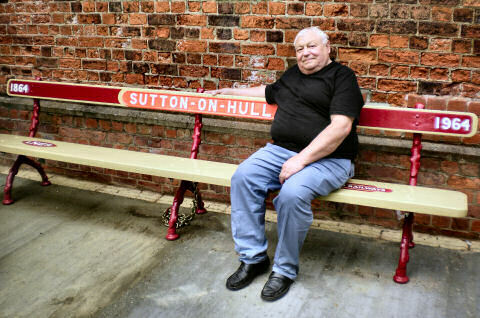 on disused railway stations, by Mark Dyson. and with some nice b&w photos. of where your forebears lived and travelled.